Languages are the house we as humans live in. They make us special and shape our world and ourselves. We are deeply concerned about the extinction of species, of fish, plants and animals, but we seem to feel more confident about the survival of languages, unless we live in small communities whose languages are threatened and we directly experience language death. Such communities are not rare and they show a remarkable diversity. But understandably, the more they lose their “voice” and therefore their culture, the less we hear from them or know about them; we lose forever a part of our knowledge, of our culture and our practices, and we lose the heart of what UNESCO considers “intangible heritage." With fewer languages we as humans are poorer. The Ethnologue’s 19th edition of Languages of the World, 2016 (Lewis et al.) confirms a trend that has been already persistent for decades: languages are disappearing faster than we can expect or imagine. From 7097 languages of the world as recorded in this edition, over 6500 demonstrate different degrees of vulnerability, from level 5 to level 9 of the EGIDS scale of development and endangerment. As I am writing these lines, 2444 languages of the world are losing speakers, 923 of which are slowly disappearing as their last old speakers die. That is why celebrating a special day for language, my language, your language, European languages, world languages, is so important. A special day is a day to raise awareness, to advance our understanding of the cultural value of languages, to fight for linguistic and cultural diversity. We should not forget though that Europe, a continent which thrives on its differences and diversity, is also the continent with the smallest number of historically spoken languages, considerably fewer than in other continents, almost five times less than Asia or Africa. 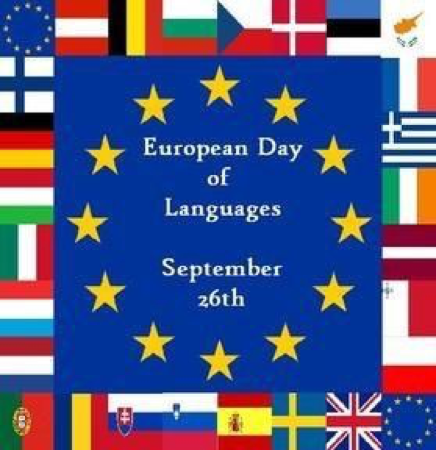 By having this special day, Europe not only confirms its central common values of human dignity and respect for the rights of minorities, embraced and sanctioned by all EU institutions, but also endorses the right of existence of these languages and proclaims their value for us as communities and individuals. The celebration includes not only Europe’s historical languages, large and small, but all languages spoken by European citizens and by immigrants struggling to be part of it. Let us not forget that European cities are becoming increasingly diversified linguistically. London gives a perfect example of these changes: according to a 2011 Census, some 320,000 Londoners speak English either not very well or not at all, having another language as their main or only language. Much larger is the number of bi and tri-linguals. In almost every single borough (30 out of 33) of the city, more than 100 languages are spoken. The unexciting traditional linguistic repertoires are replaced today by an enormous spectrum of sounds and cultures. 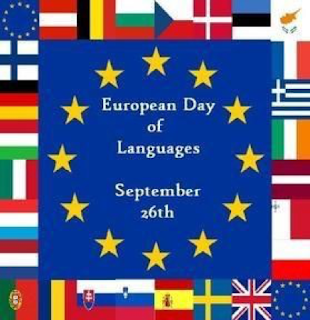 These languages might not have state recognition, but a European day of Languages is a day for them and for all languages. Moreover, besides being an institutional day, it marks a personal celebration of individuals beyond its official meaning, an embrace of their dialect or variety. Every day we witness examples that show that we genuinely care about our languages. Only a few days ago, the people of Milano celebrated for the first time the day of the Milanese dialect, a special day officially instituted this year for the first time, a day for a language with no legal recognition in Italy. The UK has a yearly dialect festival in which all speakers of different dialects in the country gather in the third weekend of October to celebrate their mother tongues. The deep concern and emotional involvement with language makes us also ideologically vulnerable. We can take this issue too far and fall prey to propaganda and political manipulations, even to violence in ethnic and religious contexts, as we have seen in Ireland and Spain, Ukraine and Russia, India and Pakistan, Croatia and Serbia, South and North Sudan. The political abuse of a right all humans have is one more reason to focus on and to reclaim the beauty of linguistic diversity on the European Day of Languages, to show that different languages do not separate us, but bring us together in joy, love and solidarity. A European day of languages also promotes the signing and ratification of the European Charter on Regional Minority Languages (ECRML). It is unfortunate that several member States of the Council of Europe have not yet acceded to the Charter or have signed, but not ratified it. 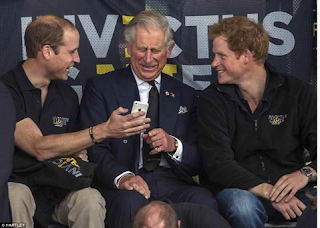 Only a few days ago Prince Charles, Prince of Wales, showed his deep concern about his own language, in his case about the health of English. As a linguist, I smiled at his worries about English, his rancor for the social media that he thinks are destroying the language (and thoughts) of young speakers of English, and with his Quixotic pride in resisting the tide of online communication. He should instead look deeper into the UK’s social system, at its class and economic divisions, and at the qualities of schooling, to find the real evil that might hurt the thinking and the language use of the young of his country at this moment. I see how he shows his human side and care for his own language, but it is not social media that destroy a language. In fact there is evidence that social media as a channel can help protect dialects and languages that are shrinking or dying, and enhance their use challenging traditional channels. The EUC blog Linguis Europae itself is proof that electronic media can enhance public discussion on languages and the connections they have to societies, politics, institutions and cultures. As a discussion site dedicated to issues of language policy and planning, acquisition, education, and the sociology of languages in Europe, Linguis Europae also provides a space in which our students can try themselves to face the challenges of public writing. The students’ works of this year, as in previous years, show the many concerns and interests that young people have regarding languages. The reader should take into account that these entries are produced a few months in advance (the end of academic year), and do not necessarily reflect the most recent linguistic and political events. The works are also the first effort and the first success in publication for most of the young student­ authors. The texts are the result of Spring 2016 semester work on one of many requirements for the course “Language and minorities in Europe” (FR/IT 418). We launch this year’s series with an opening essay on the status of English after the Brexit, which highlights the immediate connections between political and linguistic events, as well as the complexities of each of these systems as separate living entities. I wish all the readers of this site, a rewarding experience! And Happy European Day of Languages!